Many traders were caught off-guard by the swiftness and brutality of this morning’s dollar slide. It also caught me by surprise, although I had noticed how the euro had refused to lie down over the past week and was essentially lurking, ready to take the EUR/USD pair to a new peak, should the opportunity arise. I had warned previously that this is a dangerous week for trading and we may see a number of sharp, erratic moves as trading volume thins, owing to the big holiday in the US later in the week. The euro rose 1.3 cents this morning to hit a new all-time high of 1.4796. The markets now sense 1.50 is inevitable, regardless of the fundamentals and traders could use the thin trading conditions this week to push the advantage home. There is growing complacency though and traders refuse to recognize the significance of falling stock markets outside of the US and the softer data ebbing out of the euro area. This is not solely a US problem and the idea we are going to witness a booming euro economy into 2008 against a recession-hit US is far-fetched to the extreme. The euro is effectively the most over-valued currency right now and it is trading beyond its worth, but markets still refuse to sell it off or allow it to correct. The currency has now risen 14 cents against the dollar since the middle of August without a meaningful correction and that is unprecedented for this pair. The dollar has again been undermined by underperforming US stock markets, which has brought the usual suspects demanding a further Fed rate cut. There was even a rumour across Asian markets during the night the Fed were about to announce an emergency rate cut today. The view that Ben Bernanke will single handedly save the economic world by continuously cutting US interest rates is madness, but this seems to be the view which prevails right now and which is dictating market direction. I am worried the euro has gone too far, at least in the short-term, but trading is going to be so unpredictable this week, I also cannot say it will not go higher. 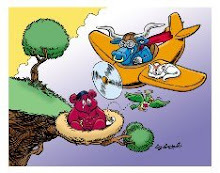 The Fed’s minutes this evening will be critical, to possibly lower expectations for a December rate cut, while a more upbeat assessment/forecast for the US economy in 2008 should help give both stock markets and the dollar a bounce at the same time. I won’t be surprised to see the euro back below 1.47 by the end of the day, but it could also go the other way. Look out for the housing data at 13:30 GMT, a major surprise either direction in the report could trigger further moves. Sterling rebounded spectacularly Tuesday, thanks to heightened negativity towards the US dollar. The pound jumped to 2.0650 against the dollar a short while ago, up over 1.6 cents on the day. How much this move has to do with thin trading conditions we don’t know, but the fundamentals for the pound have not changed. The outlook into next year is for rate cuts from the Bank of England. There is growing speculation of a further easing move by the Fed in December, which has triggered today’s move against the dollar. Sterling has tagged onto the coattails of the euro this morning and has benefited from the move away from the dollar into European currencies. It is hard to see how markets can justify pushing cable much higher from here, but this is a week when markets won’t behave how we expect, with volume lower because of the extended US Thanksgiving holiday (many traders have closed their positions for the week). A break above 2.0775 could potentially lead to rally back up to 2.08 tomorrow. There is the danger of a very sharp retreat once again though, particularly if there is any significant sell-off of the euro against the dollar. It is dangerous to buy cable at current levels, because of the prospect of a sharp decline. I prefer to sell down, but will wait for a temporary peak to form. We may see a correction later today, after the Fed minutes are released. Today’s CBI Industrial Trends Survey for November surprised to the upside but this is not generally a market mover. Of more significance was the Bank of England’s money supply data released earlier Tuesday, which revealed a narrowing in the annual rate from 12.8% to 11.8%. This erodes an obstacle the Bank may have towards cutting interest rates in the near future. Cable should be capped around 2.07 today, while the pound will continue to struggle against the euro. Don’t be surprised to see a sharp cable retreat this evening. The yen and the reasons for its recent rally were largely ignored Tuesday as the market focused on selling off the US dollar and buying into European currencies. The Japanese currency has lost out all around, but it has particularly lost out to the euro, the pound and the Swiss franc. Stock markets are rallying today, so with risk tolerance levels higher, the yen is again being used as the preferred funding currency. Much could happen yet later today, particularly if US stock markets reverse course later in the session. The key risk event for the yen is the Fed minutes (released at 19:00 GMT), which, if they disappoint stock markets, could lead to a weaker close on Wall Street and see the yen strengthen into the overnight session. The euro is back up to Y163 and this pair may offer the best value in any sell down, but only if risk aversion levels rise. If risk tolerance remains on the up, the yen could be pushed back to over Y111 by the dollar by late this evening, if Wall Street does manage to rally through to the close. The biggest nail yet in the loonie’s recent demise came Tuesday when October’s consumer price inflation data was much softer than expected. In fact both headline and core inflation fell by 0.3% and 0.2% respectively in the month, against expectations for a rise of 0.2% for the headline rate and 0.1% for the core rate. The annual core rate of 1.8% is at the lowest for 16 months and this gives the Bank of Canada ample scope to cut interest rates in December, if they prefer to move sooner rather than later. Inflation in Canada is now much more benign than that in the US and with the Fed in an easing cycle, the Bank of Canada is now armed to follow suit. Broader US dollar weakness has largely masked the impact on the loonie Vs the dollar since the dat came out 3 hours ago, but the Canadian currency has fallen by 0.75% against the euro today. USD/CAD now looks destined for parity, possibly even this week and a soft retail sales report Wednesday will only accelerate this move. USD/CAD should be bought on any dips near to 0.97. The loonie should be able to correct somewhat against the euro and the Japanese yen as these cross pairs are excessively overbought, but the best strategy is to wait for opportunities to sell the loonie against the US dollar and not to buy it all. We shall take another look tomorrow after September’s retail sales data is published.